Save the Frogs Day is April 30th! To start the show, we chat about attending last weekend’s 3rd annual Veg Expo in Vancouver. The crowds abounded, so does this mean that veganism is on the rise?! Then, it is International Respect for Chickens Day on May 4th, and to honour these special beings, Caroline shares some facts about chickens. For our first interview, we have Dr. Kerry Kriger on the show. A conservation biologist, he is the Founder and Executive Director of Save the Frogs, the world’s leading amphibian conservation organization. Its mission is to protect amphibian populations and to promote a society that respects and appreciates nature and wildlife. Dr. Kriger conceived and coordinates Save The Frogs Day, the world’s largest day of amphibian education and conservation action, which happens on April 30th this year. He has given over 300 presentations on amphibian conservation all over the world. Amphibians are the largest group of endangered animals on the planet. In this interview, he speaks about the different threats to frog species around the world, and how people are mobilizing around the world to take on various actions to help these situations. There are many things that you can do as well to Save the Frogs! Listen to find out. Our feature interview is with Sheryl Fink. As the Wildlife Campaigns Director of IFAW Canada, the International Fund for Animal Welfare, her primary focus is to end the commercial seal hunt in Canada. 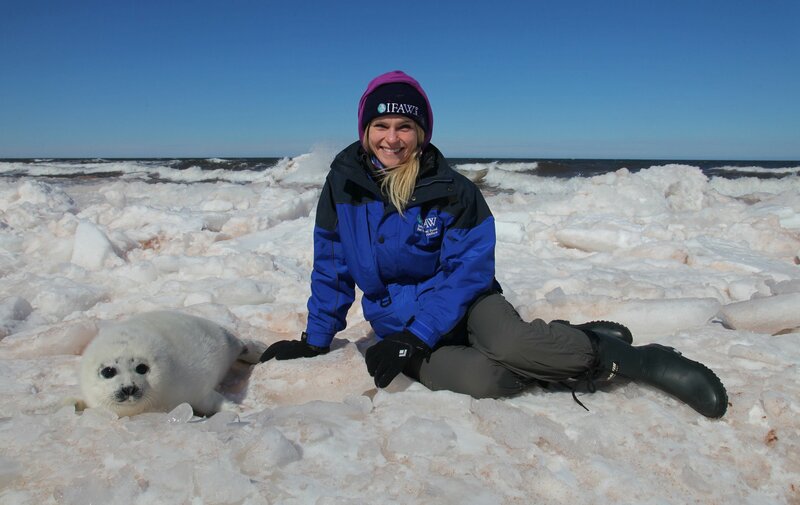 Sheryl has observed the commercial seal hunt in Canada for 12 years, documenting the hunt from the air and on the ice, to provide ongoing evidence of its cruelty and wastefulness. Her campaign work to end the hunt has included appearing on national television, leading public demonstrations, and providing testimony before politicians in Canada, the European Union and Namibia. The Canadian seal hunt is still not dead and despite an inability for sealers to even reach a sizeable fraction of their quotas, and a lack in the market for seal fur and meat, the annual Canadian seal slaughter is in full swing again for this year. In this interview, Sheryl gives us an update for 2016 on this dying industry. It is not quite dead yet, and she gives her predictions on what may, could and should happen in the future to put an end to this brutal event for once and for all. One way to help is to since this petition asking Prime Minister Justin Trudeau and Minister of Fisheries and Oceans Hunter Tootoo to end the hunt.